Although commuting from parts of Bangkok to SCGI Campus is not difficult, many students decide to live either on or close to the campus. This allows them to have more time to focus on their studies as well as participate in extra-curricular activities. 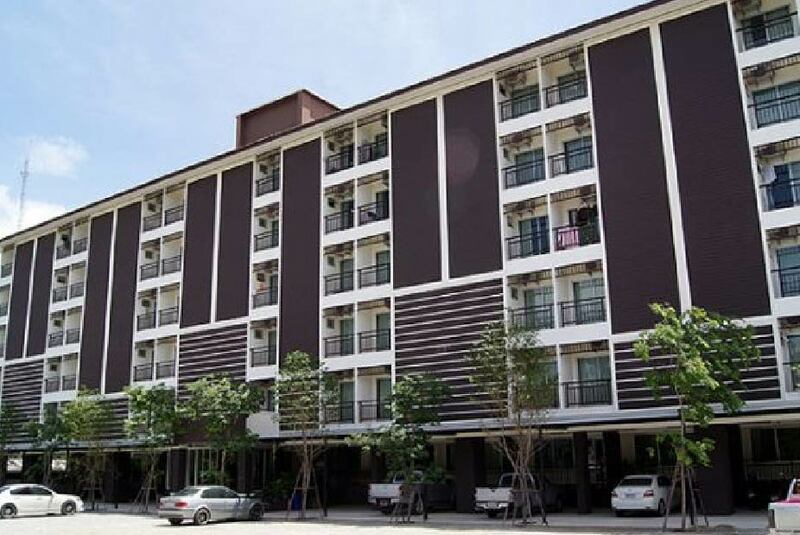 Students have access to various parts of the province; all the residences are located very near to some of the most famous tourist places like Pattaya City and the beautiful local beach in Bang Sean. Commuting from the campus to these attractive places takes less than 30 minutes. 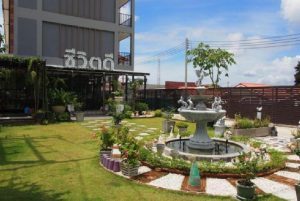 There are also other interesting places around Laem Chabang area; Parks, Cinema halls, local Markets, Restaurants, Malls and Convenience stores are all located around the vicinity. Other available facilities like Banks, Hospitals and Cafes are also located nearby. Similarly, at Wuhan University campus, commuting is not difficult. Situated in the heart of central China, Wuhan City strategically forms an intrinsic part in the transportation network across the country hence is very easily accessible for other cities being it by train, by air or by bus. In and around the Campus in Wuhan, there are similar facilities like Banks, Convenience stores, restaurants, Cafes, hospitals and parks. 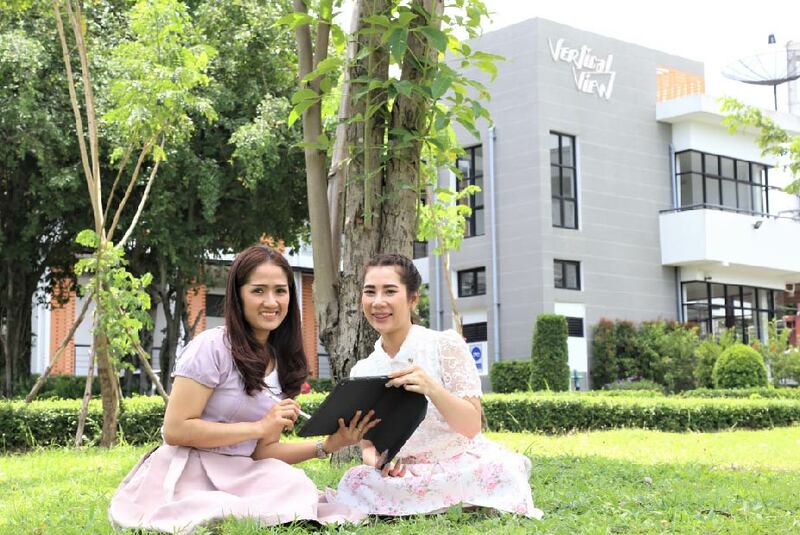 Vertical view is a comfortable two-story complex consisting 23 rooms (singles and shared). A private bathroom is provided in each room and the room is fully furnished and with air-conditioning. Students have access to a lounge and kitchen area and the internet.The cost for renting is 4,500 baht per month including electricity or water supply. 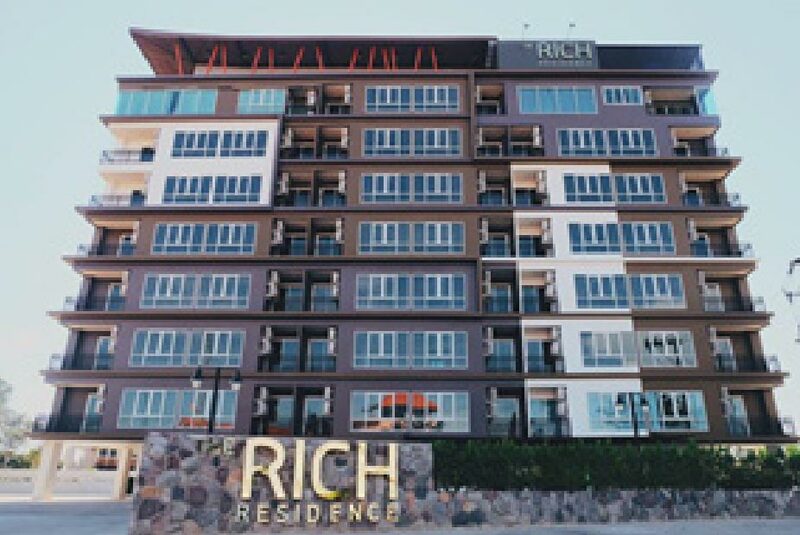 The rich residence offers a modern luxurious accommodation, with private bathroom in each room. The apartment is just 10 minutes by bicycle. The cost is 7,000 – 8,000 baht per month, excluding electricity and water supply. For those who are interested please contact the management of the building through email: therichresidence.lcb@gmail.com or through phone no. : +66 (0) 92-334-6699. D Residence is located near the back gate of SCGI campus. It offers a modern room with a private bathroom.The room is well equipped with air-conditioning. The cost is 5,000– 8,000 baht per month, excluding electricity and water supply. For those who are interested please contact the managementof the building through phone nos. : +66 (0) 80-915-1965 or +66 (0) 61-724-6665. 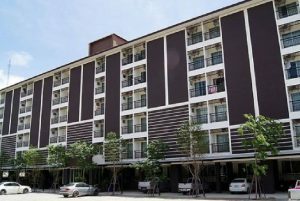 Soontaree House located on Sukhumvit road near SCGI Campus. It is a comfortable apartment with private bathroom is in each room and the room is fully furnished and with air-conditioning. The cost for renting is 6,000 – 8,000 baht per month not including electricity or water. For those who are interested please contact the management of the building through email: soontareehouse@gmail.com or via phone nos. : +66 (0) 99-226-9692 or +66 (0) 98-429-2254. You can also visit their website http://www.soontareehouse.com for more information. 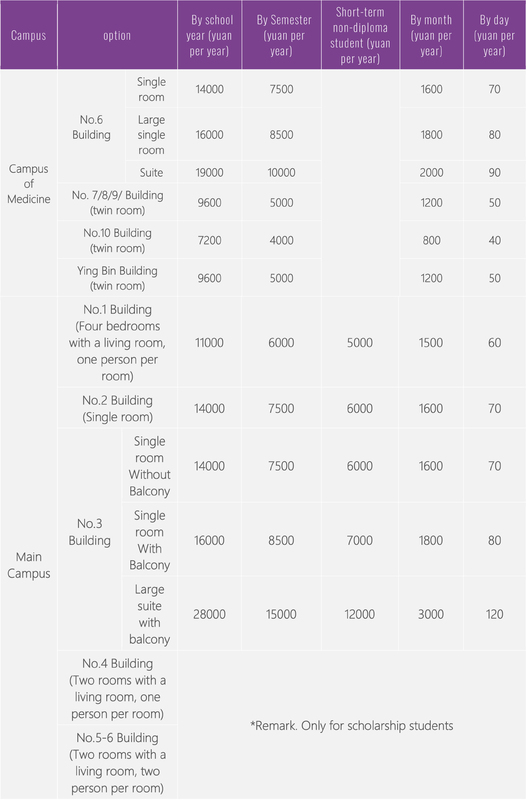 The following options are available for you, should you be staying on campus. **Remark. Refund is only available for those who live less than one month and refund is 80% of the full payment. Electricity fee is not included in the above. Bedclothes need to be prepared in advance or buy at nearby market. The rooms well decorated with furniture, air conditioning, shower and toilet, etc. Any damages or losses in the apartments during your stay should be paid for accordingly. Information posted on our website when there are changes on housing and fees http://admission.whu.edu.cn/index.html. The accommodation fee at Campus of Medicine is only applicable for new students and those current students who apply for moving back from outside. The above prices are for reference only; we take no responsibility for any change in prices by the office. While at SCGI, students can receive health care services. Full-time Students can seek medical care at on-campus clinic for cold and other common illnesses. However, for other serious physical injuries there are a few hospitals situated near the campus. Samitivej Hospital and Phyathai Hospital situated in Si Racha or at Vibharam hospital situated near SCGI. Cost occurred are non-inclusive in the tuition fee and cannot be reimbursed from the program. At Wuhan, the on-campus clinic provides medical examination and prescription for cold and other common illnesses. The medical insurance will cover most of the charges of being in hospitals for serious illness. The cost incurred would be around 1 RMB for consultation and 6 RMB for registration and medical certificate. Off-campus Wuhan University hospitals include ZhongNan Hospital, Kouchiang Hospital and Renmin Hospital. Additionally, Additionally, Students seeking counseling services can contact the academic office at SCGI for consultation on various concerns or can email your concerns to scgi@gistda.or.th. The ED visa is valid only for 3 months from the day of its issue and within this period of time, international students who want to study in Thailand need to pay their tuition fees for the current semester. There is a possibility for international students to ask for an extension in order to cover the full time study period, if they provide their registration letter. Physical Examination report and blood test result (originals stamped and signed by a physician or hospital). All in English.